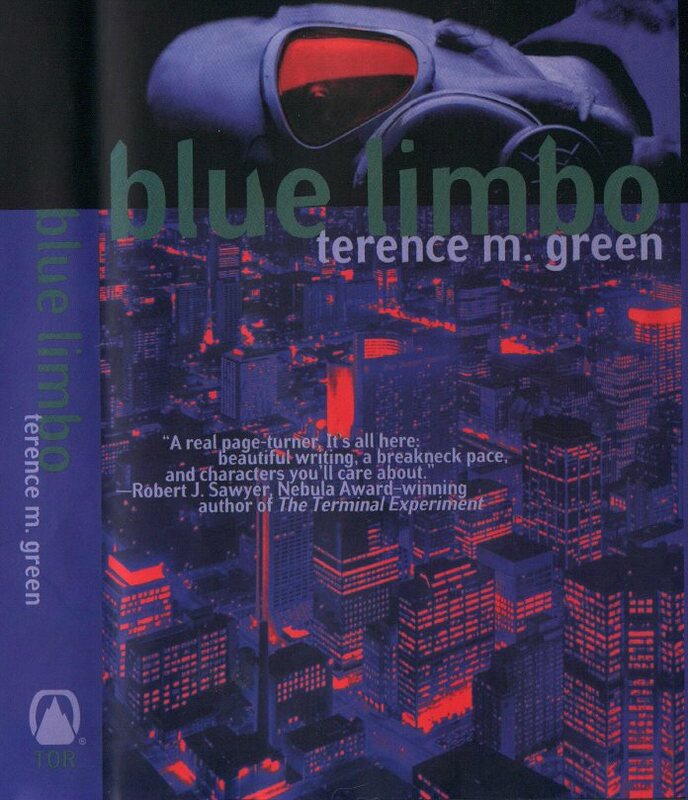 The Cover for Blue Limbo juxtaposes the figure of a human head lying on its side, encased in the the Blue Limbo machine for which the novel is named. The Blue Limbo machine enables physicians to keep a person "alive" for up to 4 weeks after he/she has "died" -- to perform a temporary Revival, if necessary or desirable. Communication with the "dead," through a computer, is then possible via an electrode, a chip, placed inside the skull, outside the dura that surrounds the brain. Beneath the prone, transverse head, is a night shot of the cityscape of downtown Toronto, looking north from Lake Ontario, as seen through a heat-sensing or infra-red lens. The semi-circular building beneath the word "terence" is Toronto's new City Hall. Directly in front of that can be seen the Four Seasons Sheraton hotel on Queen Street. With those starting points, anyone familiar with the city will easily spot other landmarks. As the story is set in Toronto, involving a Toronto cop, the authenticity and pains to which the jacket and art designers have gone to represent the heart of the story is remarkable. The publisher, Tor Books, NY, is, as always, to be commended for its vision and attention to detail.